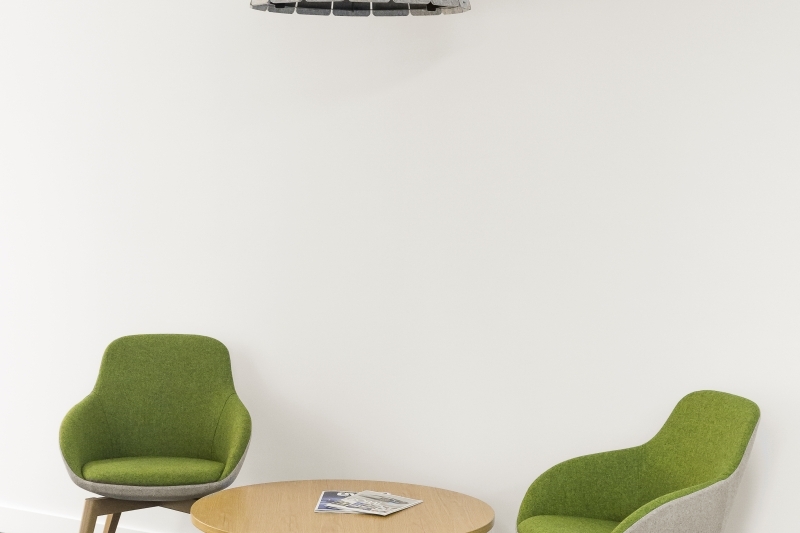 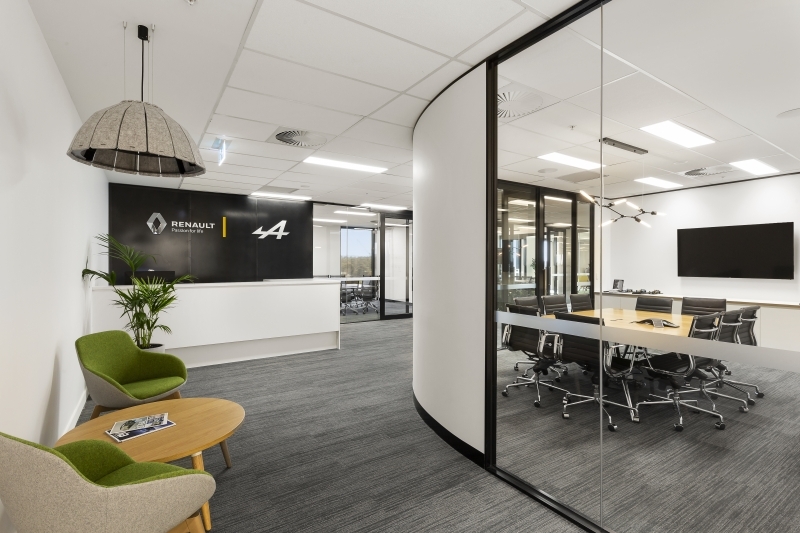 French automotive manufacturer Renault required a balance of formal meeting rooms and offices, blended with collaboration spaces and open workstations to encourage team bonding in their new office. 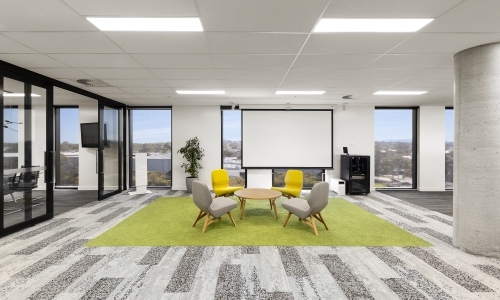 The pièce de résistance, a large interactive open meeting area with feature screen, to accommodate large scale presentations and internal meetings. 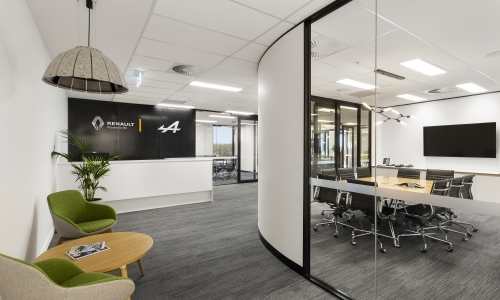 Visually the office combined organic forms, including curved walls, with an industrial aesthetic. 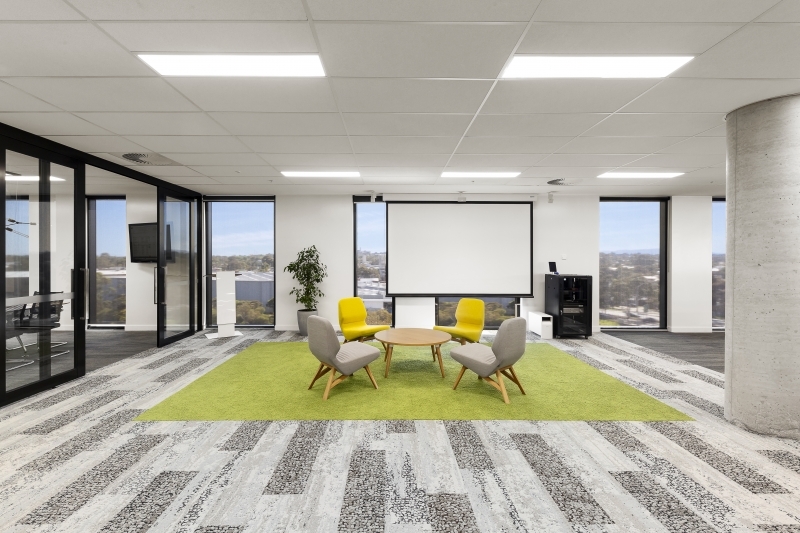 The open collaboration area was designed to replicate a parkland, with concrete look carpet representing pathways, and a green patch representing grass, signifying the feeling of escape you achieve when driving your Renault. 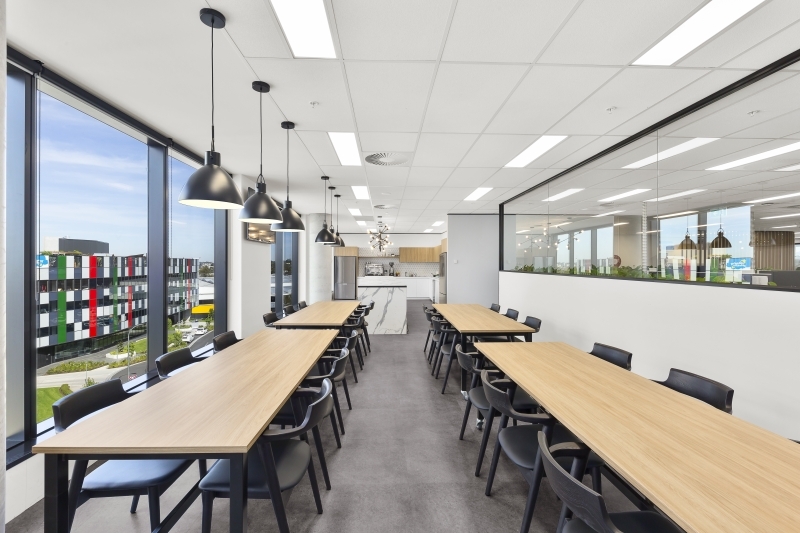 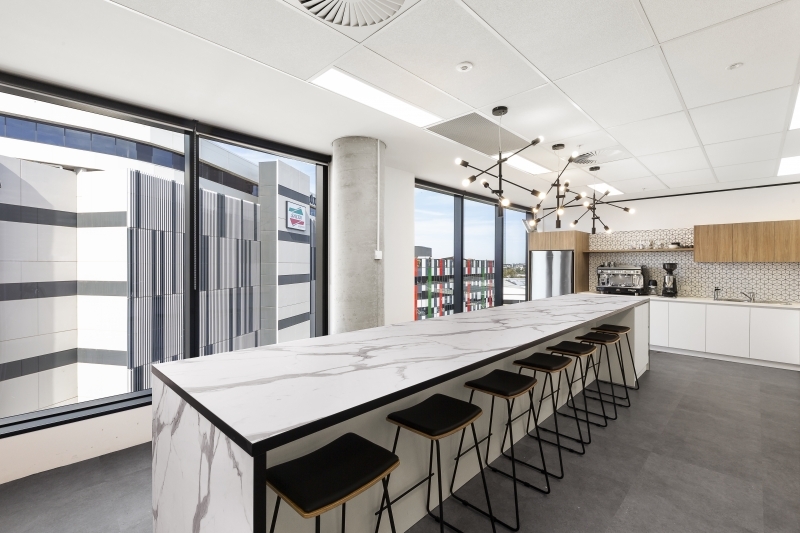 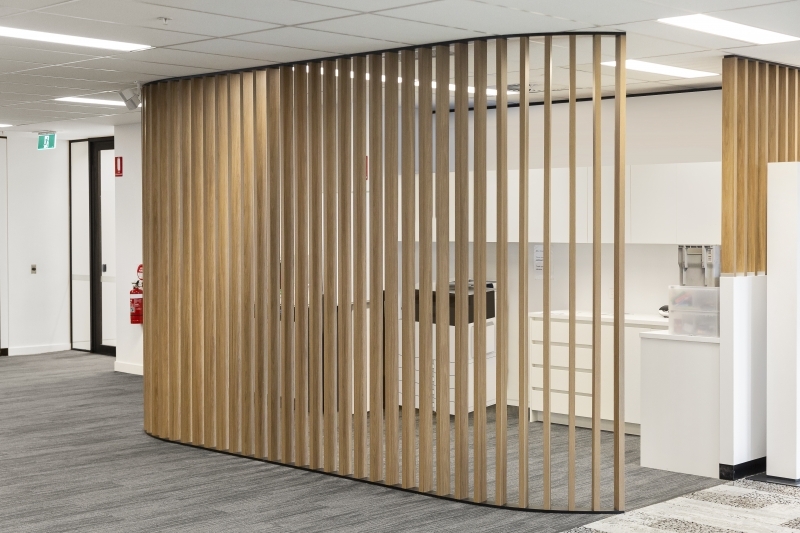 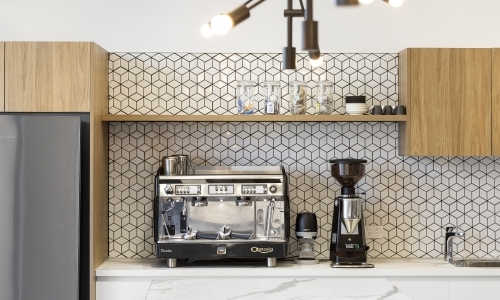 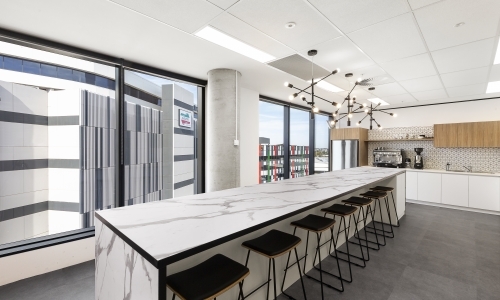 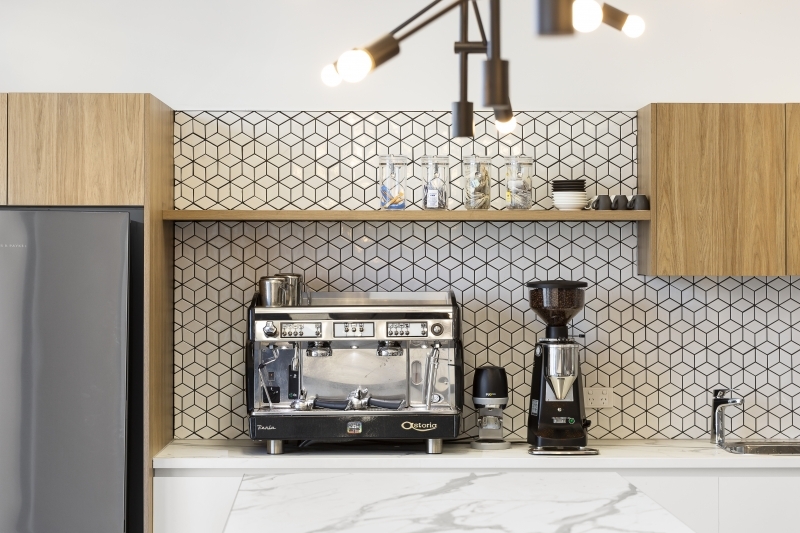 The fit out seamlessly incorporated existing furniture with new fittings, fixtures and equipment, tying into corporate values of sustainability and corporate responsibility, while providing a welcoming and comfortable working environment.